Is Google unveiling an 'iPhone killer'? 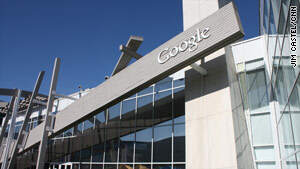 Google's announcement at its Mountain View, California, campus is expected to involve its Nexus One smartphone. Reviewer says phone is fast, stylish but no "iPhone killer"
Follow CNN's technology coverage on Twitter: @cnntech. (CNN) -- Could it be the long-awaited "iPhone killer"? It's expected to be the launch of Google's Nexus One phone -- the company's first full-on leap into the smartphone fray and one that will put the online giant head-to-head with the darling of the market, the iPhone. Google scheduled the announcement for the day before the annual Consumer Electronics Show -- the Super Bowl of the technology world. In doing so, the tech giant is taking a page from the Apple playbook, rolling out a big announcement in the relatively clean air right before news from CES floods the tech world for days. While the Google-phone buzz has centered on whether Google can take down the Apple iPhone, analysts say unseating Apple probably is unrealistic. "Is this going to be an iPhone killer? I don't think anything is an iPhone killer," said Kevin Burden, a mobile industry analyst with New York-based ABI Research. "Was the iPhone a Blackberry killer? "It's never going to be that one device that was promised to us a decade ago." The term "iPhone killer" has been bandied about virtually every time a new smartphone has been introduced in recent years. Each release has been followed with reviewers almost unanimously announcing, "Nope ... not this time." Google recently released its to-be-announced phones for use by some of its employees, leading to the inevitable appearance of videos and unofficial reviews online. Leaks suggest the Nexus One will be a global-system device with a 3.7-inch touch screen, five-megapixel camera, Wi-Fi connectivity, an accelerometer and a compass, according to CNN.com partner, Wired magazine. It is expected to run the latest version of the Android operating system, Android 2.1, which is also made by Google but runs on other phones as well. It's widely speculated that the phone will be "unlocked," meaning users won't have to sign up for long-term contracts with a particular mobile carrier to use the phones -- as is the case with most major phones now. Unlocking would mean the price of the Nexus wouldn't be subsidized by a carrier, as is the case with iPhones and others. So the Google phone could carry a price tag of $500 or more. But analysts expect Google to address the cost difference through advertising on the phone, or by other means. One possibility, Burden said, is that Google will be willing to sell the phones at or below cost as a way of ensuring Android, or some other future product, has a longstanding place in the market. "Google could be thinking, whatever their endgame is, that [the phones] are really just part of the plan," he said. "I can't think it's really just about selling hardware. "That goes back to the '70s and '80s. It's not a hardware business any more and Google's smart enough to realize that." Tech blog Engadget reports that it got its hands on one of the phones. In a review, Editor-in-Chief Joshua Topolsky gives high marks to the Nexus One for design and performance. But he, too, dismisses the "iPhone killer" speculation. "Now, of course everyone seems to have one question about the device -- is this the be-all-end-all Android phone / iPhone eviscerator?" he wrote in the January 2 review. "In two words: not really." He wrote that the Nexus One is not dramatically different than the Droid, Motorola's smartphone that runs the Android operating system. But Topolsky writes that the Google phone is "super fast" and "very smooth" in operation.